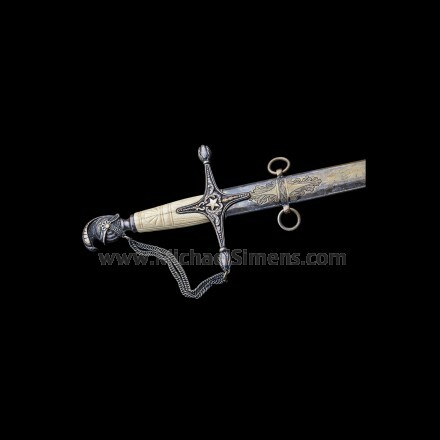 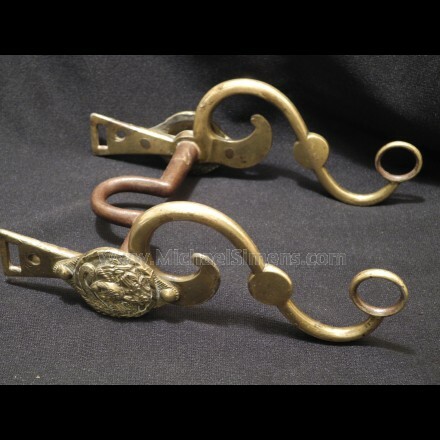 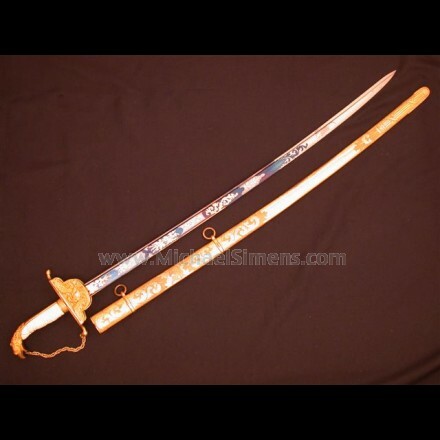 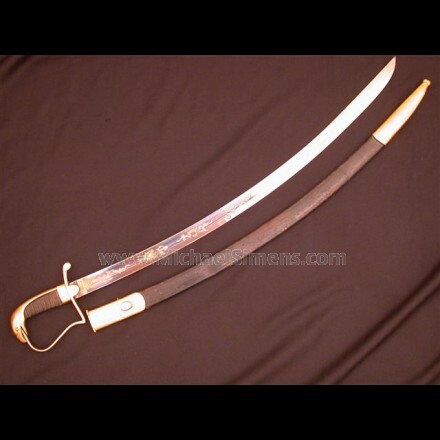 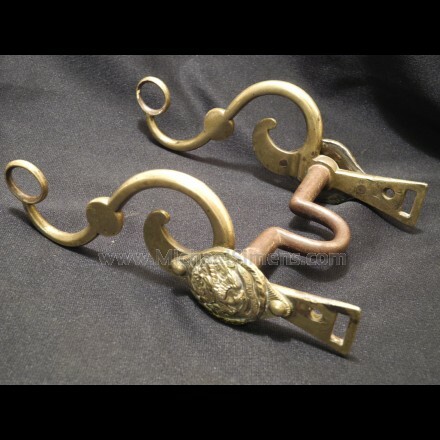 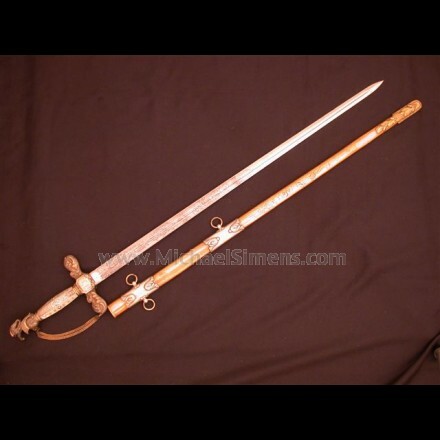 PRICE - SWORD IS SOLD! 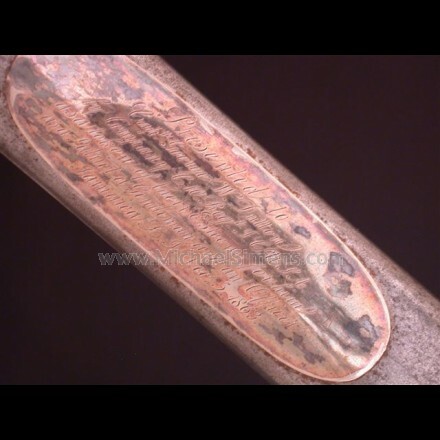 IDENTIFIED ITEMS STILL AVAILABLE - 2 sets of ID'd Knife and Fork Silverware- $3,000/each set. 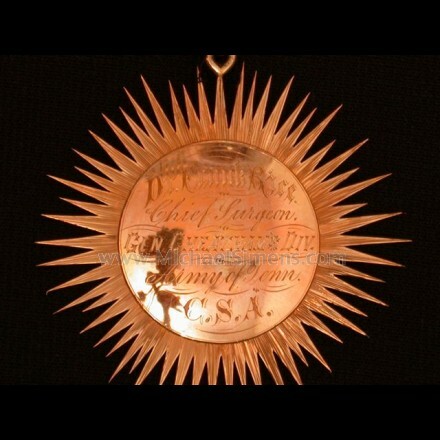 ID'd Brooch with written presentation on case - $4,500.00. 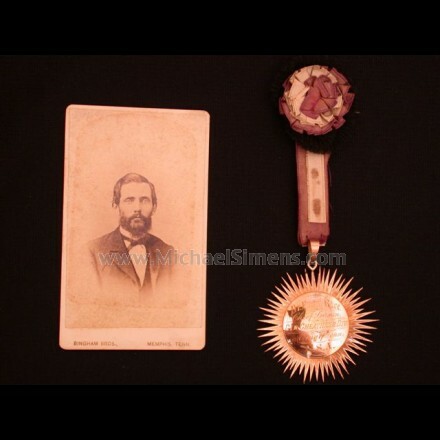 Rare and early Silver Drinking Cup by Johnson & Reat - $5,000.00, ID'd Pacifier - $1,500.00. 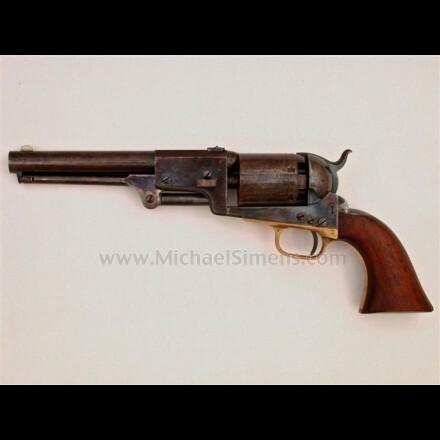 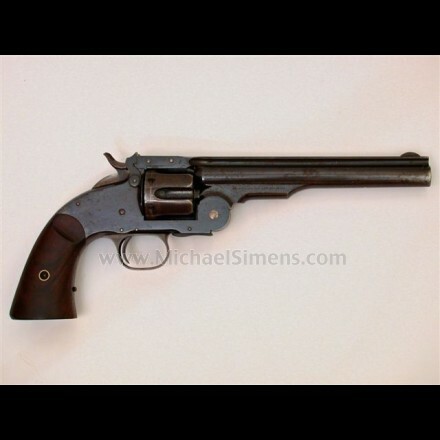 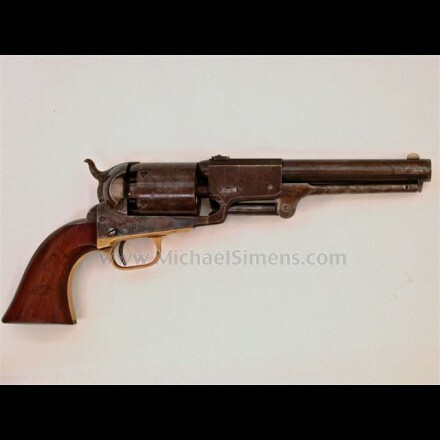 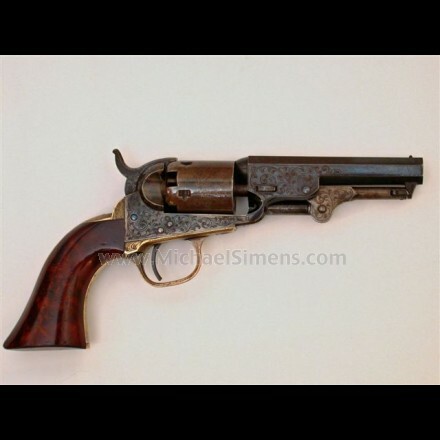 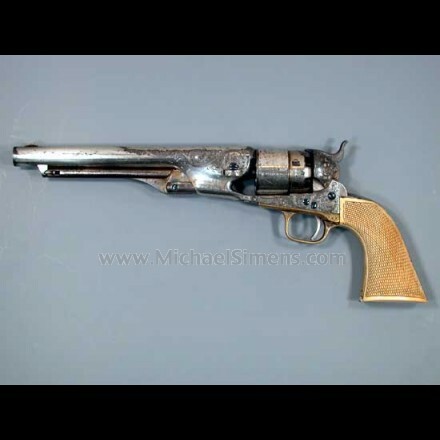 FIRST MODEL SCHOFIELD REVOLVER MADE BY SMITH & WESSON. 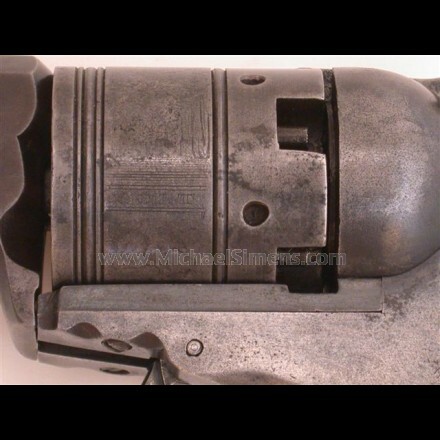 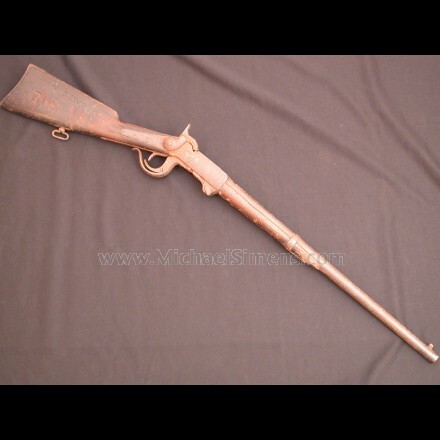 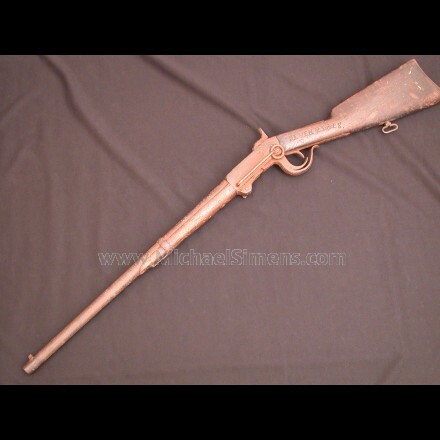 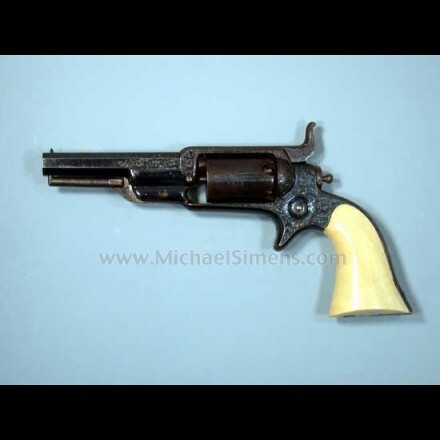 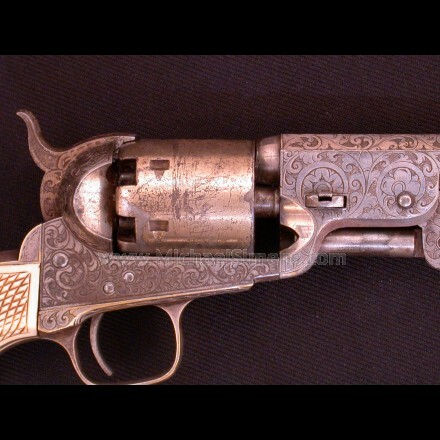 ANTIQUE COLT REVOLVER - UNUSUAL, FACTORY ENGRAVED COLT POCKET REVOLVER WITH 4" BARREL. 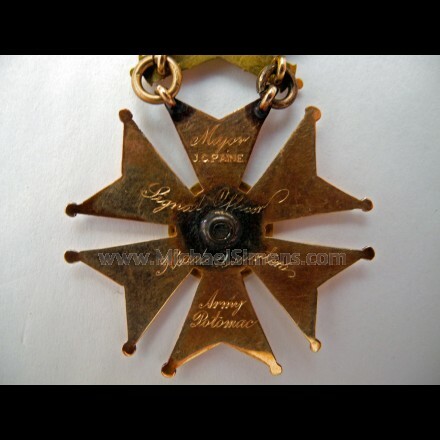 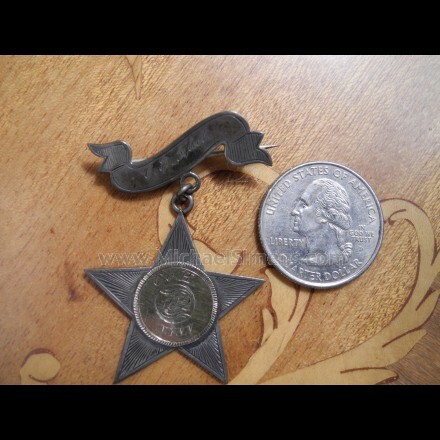 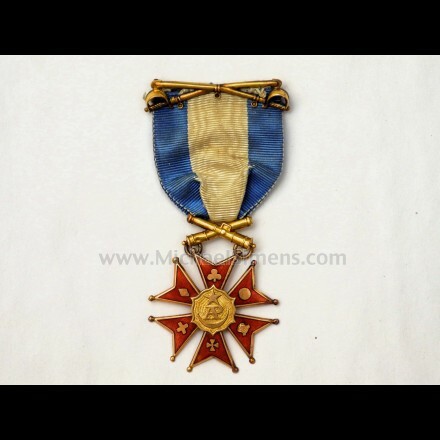 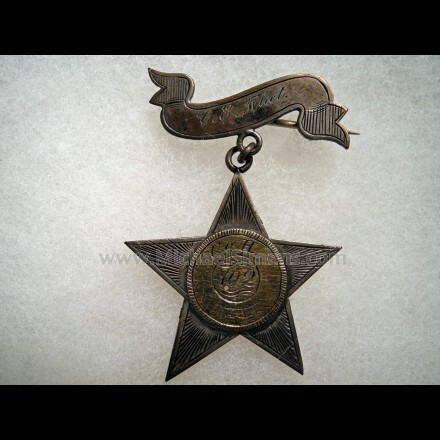 EXTREMELY RARE CONFEDERATE SERVICE MEDAL. 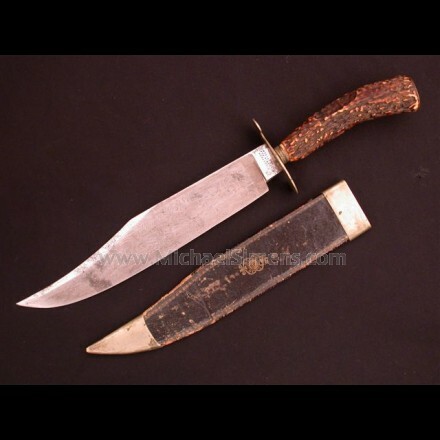 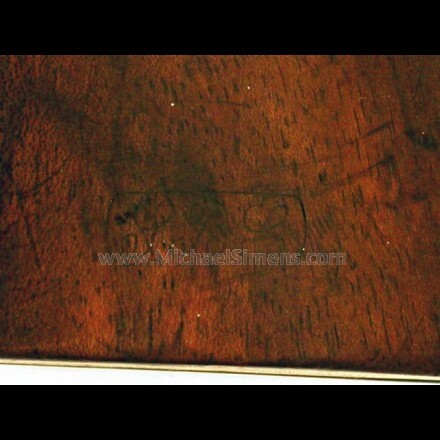 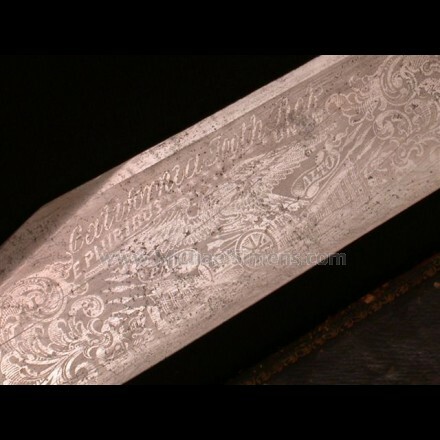 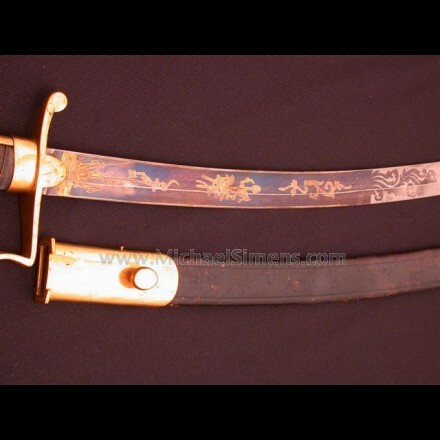 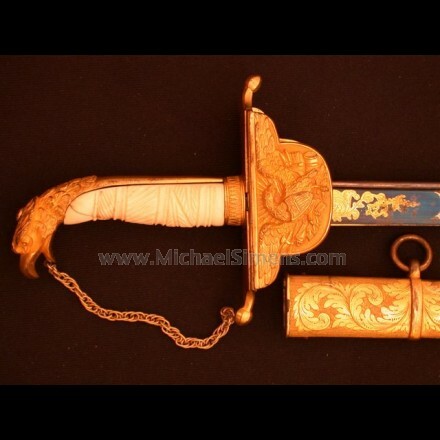 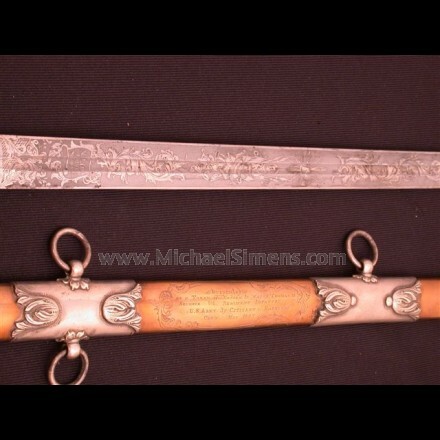 ANTIQUE BOWIE KNIFE BY TILLOTSON WITH PATRIOTIC AND CALIFORNIA MOTIFS. 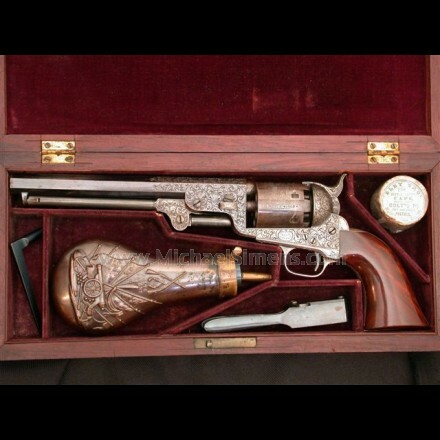 COLT 1860 ARMY REVOLVER, FACTORY ENGRAVED WITH FACTORY IVORY GRIPS. 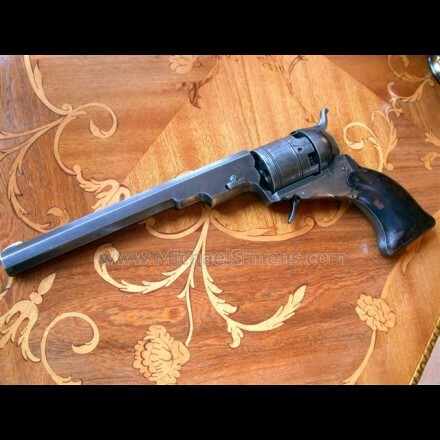 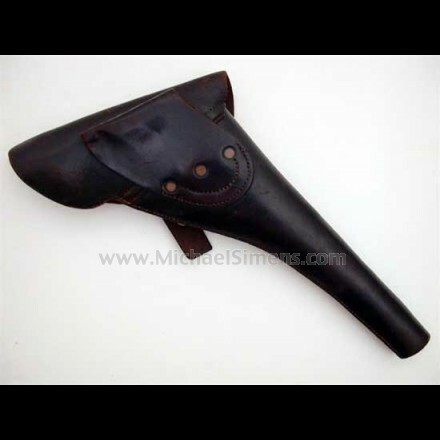 COLT TEXAS PATERSON REVOLVER, HOLSTER MODEL. 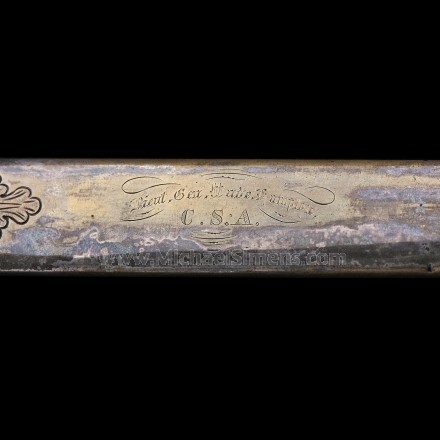 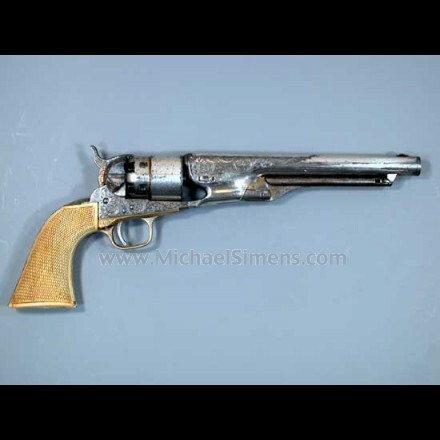 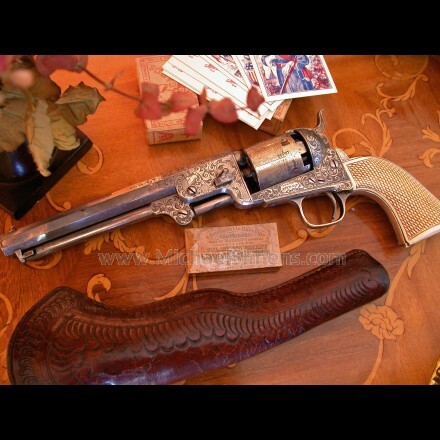 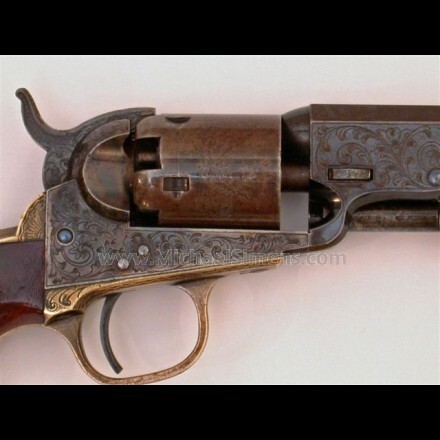 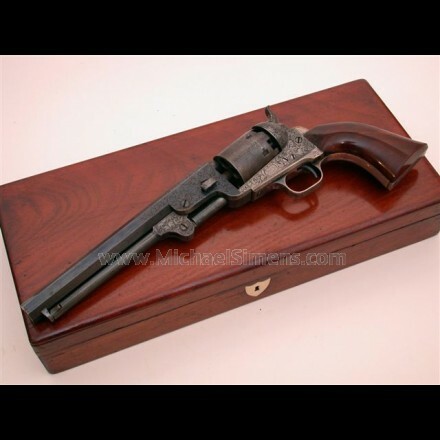 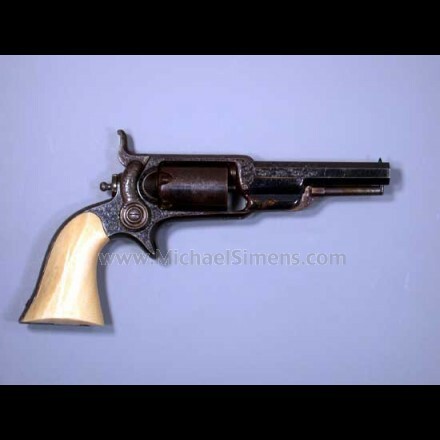 COLT, MODEL 1851 NAVY REVOLVER, FACTORY ENGRAVED AND GOLD & SILVER WASHED.